It feels good to reach level 30. Finally I can partake in raids and harder instances that require more strategy. Or strategy period, as most solo fights dissolve into a cluster-F. There are little tactics to soloing in DCUO. If you’re given a quest there isn’t much required aside from mashing buttons until your enemy is subdued. Once you reach level 30 the real game opens up. Well I can’t speak for those who chose Batman or Wonder Women as their mentors—since Superman was my mentor I had to beat Lex Luthor down for kidnapping the Man of Steel. Supergirl contacted me requesting that I head to the Daily Planet (Superman’s last known location), and get the low down on what happened to the Kryptonian. Turns out that Luthor decide to trash the place and take Superman hostage. In order to rescue Sup’ you have to infiltrate the Hall of Doom. Battling some of the lesser DC villains first like Cheetah and Metallo. It’s actually pretty fun going through the Hall of Doom. It’s that classic “endgame” feeling that you usually get from consoles, yet it’s captured well in this online game. 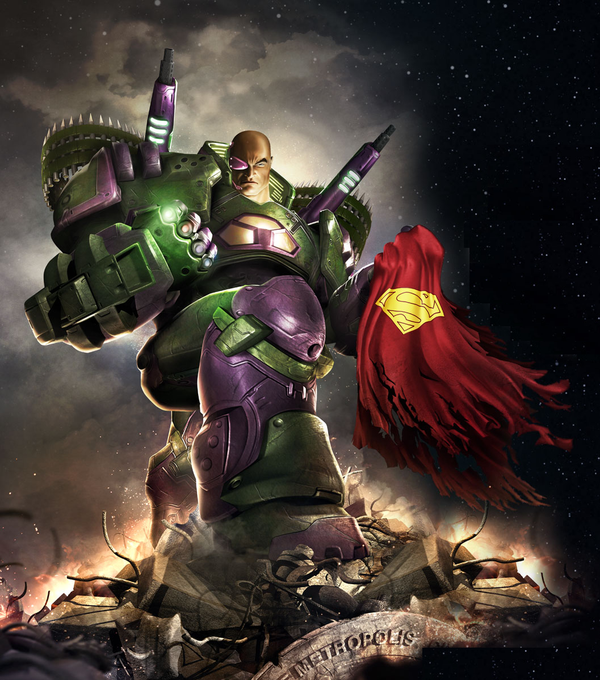 You finally come face-to-face with Luthor as Superman kneels powerless from the Kryptonite in Luthor’s power suit. What follows is a standard boss fight. You know--get a few hits in then watch out for a powerful attack that you must block or dodge. Half way through the fight Luthor even becomes enraged and his attacks become stronger. So it goes without saying that the fight with Luthor is your cliché final boss. After Luthor’s defeat you can speak with Superman (or your specific mentor) and you’re officially inducted into the Justice League of America. Marks of Allegiance- given to you for completing daily quests and some instances; the statistical bonus for this gear is minimal, you’d be better served going for the tier 1 gear immediately. Marks of Triumph- Used to buy tier 1 PvE equipment; you can acquire these from hard alerts and group missions. Marks of Distinction- What you really want as these allow you to get tier 2 PvE gear; you need to complete raids and alerts that have a “star” next to them. Marks of Victory- This is your PvP currency for tier 2 PvP gear; complete arenas and legend battles to obtain these marks. Being that I just reached 30 last night, I haven’t had a chance to experience most of the endgame content. But since most of the content is similar in structure to what I have done throughout levels 1-30 in DCUO I will be posting a review by the end of the week. But I will continue to play DCUO for the foreseeable future and I will post impressions of the endgame content as I experience it. Awesome progress report and Grats on max lvl.